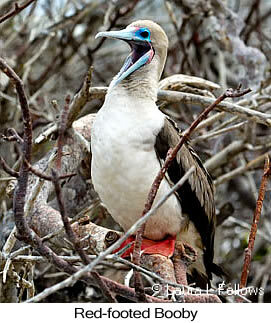 The Galapagos Islands are a nature photographer's paradise. The birds are unwary and very approachable, the habitat is mostly open, and the photography is easy. It's no wonder they're often referred to as the "Enchanted Islands". Spectacular photos are a given. The specific itinerary is an important consideration when planning a Galapagos cruise since different islands feature different birds and marine life. Our itinerary is carefully planned to make the most of a 7-day cruise. Seasonality is also an important consideration. The best times for a cruise are April-July and September-November. Most seabirds are at sea and off their nesting grounds during January-March, and seas are typically more rough during August. Registration should be received at least 6 months prior to departure to ensure space on the boat. Our bookings are on 16-passenger yachts, which create an intimate setting for passengers but means space is limited and fills up early. 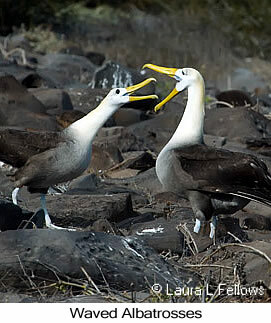 Our Galapagos itinerary features Genovesa Island, best place to see and photograph nesting Great Frigatebird and Red-footed Booby, Bartolome Island where Galapagos Penguins can be observed, and Española where the only Waved Albatross nesting colony is located. Other highlights include the Red-billed Tropicbird nesting colony on Española, Darwin Station, and the highlands of Santa Cruz where Giant Tortoise can be observed and photographed. With this itinerary you'll have an opportunity to photograph most species of Galapagos mockingbirds, Darwin's finches, and other endemic birds as well as several variations of differently colored marine iguanas, lava lizards, and the colorful Sally Lightfoot Crab.